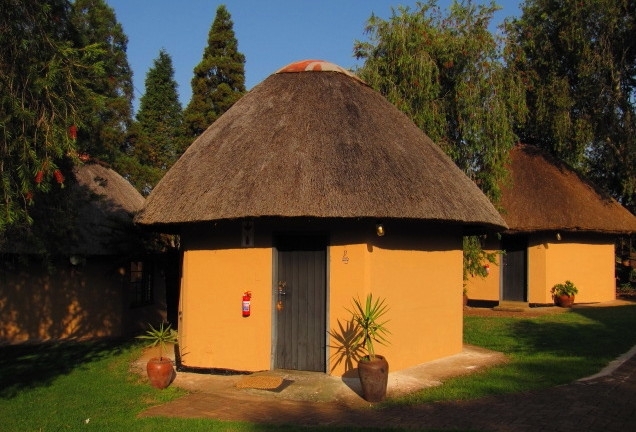 The resort has 13 thatched roof rondavels, a wooden cabin, 2 family units and backpackers train wagon with 5 compartments and 2 coupes. 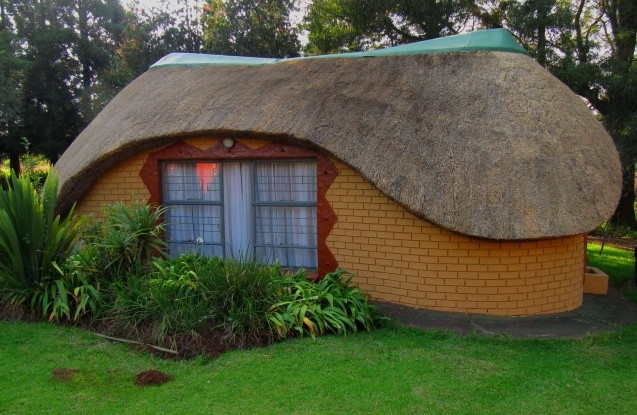 All rondavels are equipped with a bedroom, bathroom, toilet, bedding, kettle, tea and coffee making facilities, television, soap and towels. 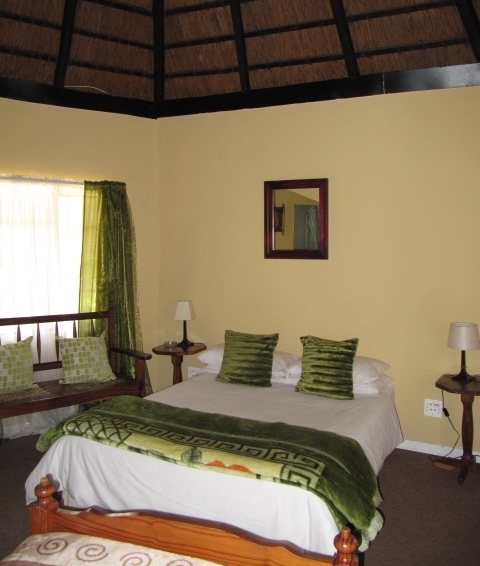 All rooms have en-suite bathrooms with either a shower or bath. Hand basins with hot and cold water as well as toilet facilities are standard in all the rooms. The lodge also has a cosy wooden cabin. This self catering cabin with bedroom & bathroom has an additional kitchen nook and includes basic cooking utensils, basic cutlery as well as a small fridge. An outdoor patio as a part of the cabin is an inviting place to unwind and relax with a sundowner. If you need something bigger to accommodate a larger group, we have two family units available. 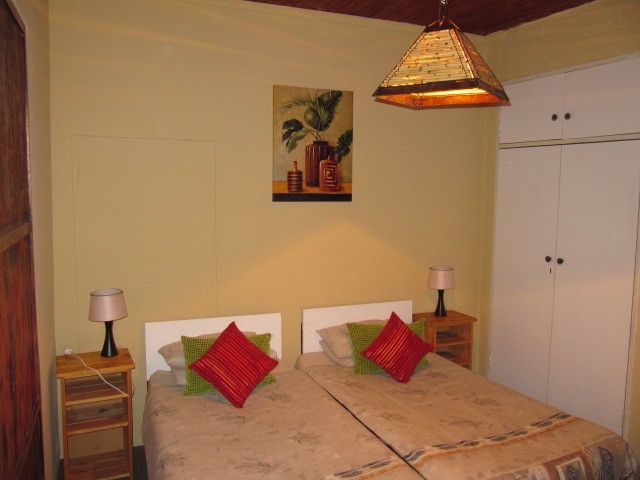 They have two bedrooms, two bathrooms, a kitchenette and dining area as well as a carport. 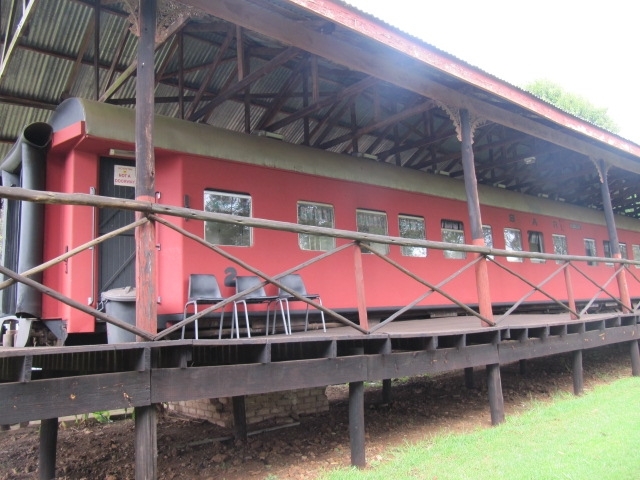 They accommodate five people and are equipped with bedding, towels, kettle, two plate stove, fridge, television, cutlery and crockery and are both serviced daily. Our backpackers is a unique experience for the budget traveller and popular with families, student groups and biker clubs as well.